Red Hat has been shipping a distribution of Eclipse IDE for years now, including all of the great features of Eclipse along with the add-ons, plugins, and tooling that make working with our products easy and enjoyable. These distributions have gone by different names over the years to indicate how they fit into the Red Hat ecosystem, and to tap into the trust that developers have when they think about Red Hat and what a Red Hat product means for them: it’ll be reliable; it’ll have a published lifecycle; it’s built from source; and if you submit a bug, we’ll fix it (and give the fix to the community). This change is no different. 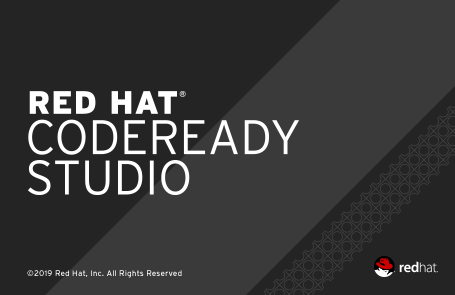 Red Hat CodeReady Studio is the latest evolution of Red Hat Developer Studio, which itself was an evolution of JBoss Developer Studio. We’re proud to include our distribution of Eclipse IDE in the expanding CodeReady portfolio. Based on the latest Eclipse 4.11, with the latest additions of JBoss Tools and end-to-end testing that ensures everything works as expected, developers can count on the same great experience they’ve grown used to. With tools for working with Fuse and other middleware products and connectors for Red Hat OpenShift that enable super-fast, container-native “inner loop” development cycles, CodeReady Studio is absolutely one of the best desktop IDEs an enterprise JavaTM developer can use. We are very excited to announce the general availability of .NET Core 2.2 for Red Hat Enterprise Linux and OpenShift platforms! This general availability is in lock-step with Microsoft’s release yesterday. .NET Core is the open-source, cross-platform .NET platform for building microservices. .NET Core is designed to provide the best performance at scale for applications that use microservices and containers. Libraries can be shared with other .NET platforms, such as .NET Framework (Windows) and Xamarin (mobile applications). With .NET Core you have the flexibility of building and deploying applications on Red Hat Enterprise Linux or in containers. Your container-based applications and microservices can easily be deployed to your choice of public or private clouds using Red Hat OpenShift. All of the features of OpenShift and Kubernetes for cloud deployments are available to you. On the heels of our recently announcement, General Availability of Clang/LLVM 6.0, Go 1.10, and Rust 1.29, I want to share how we’ll be supporting them going forward. Previously, these packages had been in “Technology Preview” status, which means that they were provided for “you to test functionality and provide feedback during the development process”, and were “not fully supported under Red Hat Subscription Level Agreements, may not be functionally complete, and are not intended for production use”. Red Hat Container Development Kit provides a pre-built container development environment to help you develop container-based applications quickly using Red Hat OpenShift and Kubernetes. Red Hat Developer Studio (previously named JBoss Developer Studio) provides a desktop IDE with superior support for your entire development lifecycle. It includes a broad set of tooling capabilities and support for multiple programming models and frameworks. Developer Studio provides broad support for working with Red Hat products and technologies including middleware, business automation, and integration, notably Camel and Red Hat Fuse. Developer Studio is based on Eclipse 4.8 (Photon). A number of Red Hat Enterprise Linux (RHEL) development tools have been updated. These include Rust 1.26.1, Go 1.10.2, Cargo 1.26, and Eclipse 4.8 (Photon). Our goals are to improve usability of our tools for developers, while adding new features that matter most for users of Red Hat platforms and technologies. We are very pleased to announce the general availability of .NET Core 2.1 for Red Hat Enterprise Linux and OpenShift platforms! We’re extremely pleased to announce additions and updates to our suite of Red Hat Developers desktop tooling products, including Container Development Kit 3.4, JBoss Developer Studio 11.3, and our DevSuite 2.3 installer. These updates are a continuation of our efforts to increase developer usability, while adding new features that matter most for users of Red Hat platforms and technologies. We’re extremely pleased to announce updates to our Red Hat Development Suite of products, including Container Development Kit 3.2, JBoss Developer Studio 11.1, OpenJDK 9 and our DevSuite 2.1 Installer. As always, our focus is on increasing usability for developers, while adding new features that matter for developers targeting Red Hat platforms. As a follow-up to yesterday’s press release, I am pleased to announce the immediate availability of and support for .NET Core 2.0, the latest version of the open source .NET Core project, on Red Hat’s portfolio of open technologies. A lightweight and modular platform for creating web applications and microservices, .NET Core 2.0 provides significant new developer capabilities while enabling developers to create .NET applications across platforms, and deploy on Red Hat Enterprise Linux, Red Hat OpenShift Container Platform, and more. I’m extremely pleased to announce the latest releases of our Red Hat developer tools, available on multiple platforms. The general theme of this release is expanded usability, product integration, expanded support for Middleware products in Development Suite, plus the brand new addition of Kompose and the DevTools channel for Red Hat Enterprise Linux. This collection of tools has been assembled into an easy-to-use installer to help software developers quickly and easily put together a development environment to create containerized enterprise Java apps by installing OpenShift on their desktop. The Developer Tools Installer will automatically download, install and configure the selected tools on macOS, Windows and Red Hat Enterprise Linux. Development Suite also simplifies the installation and configuration of EAP, Fuse, and Kompose. As always, it’s available at no-cost from developers.redhat.com/downloads.